A nationwide federal investigation, known as Operation No Safe Haven, has led to the arrest of 19 fugitives suspected of committing war crimes and other human-rights violations in foreign countries. 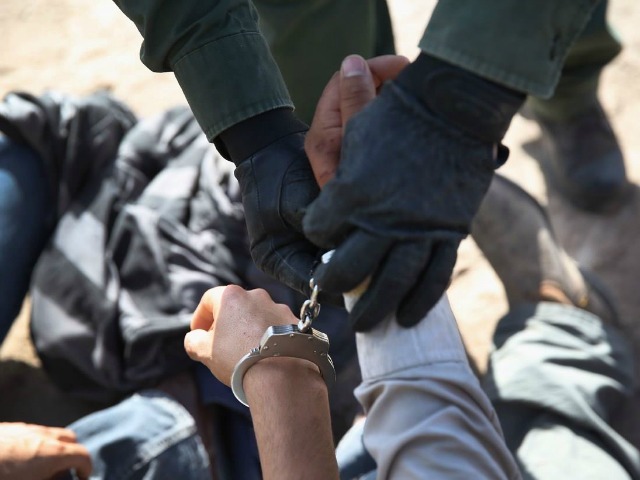 According to U.S. Immigration and Customs Enforcement officials, four of the suspects were arrested in Los Angeles for committing atrocities in Central America, while one alleged perpetrator from Central Africa was arrested in San Francisco. The Los Angeles Times reported that many of the suspects used fake IDs to enter the country in an attempt to assimilate into local communities. However, because all had outstanding deportation warrants, and eight of them had been convicted of committing crimes in the USA, they ultimately failed to escape the attention of federal authorities. The investigation, which concluded on Friday, announced in a statement that ICE was on a mission to “root out alleged human rights violators who seek a safe haven in the United States.” According to an ICE news release, it was the first time that ICE officials went after alleged war criminals illegally seeking refuge in the U.S.
Two of the Central Americans were accused of committing human rights atrocities during a civil war in the 1980s, and the other was a police official who interrogated unarmed civilians suspected of being guerrillas. One West African man was a member of a revolutionary group renowned for killing women and children. An immigration judge deported him over ten years ago, but he avoided being caught until now. The Times further reported that the other foreign nationals were arrested in Atlanta, Baltimore, Boston, Chicago, Detroit, Miami, New Orleans, and New York. They are being accused of persecution, genocide, torture, extrajudicial killings, and recruiting child soldiers.